"Sometimes, all you need is the right organization to offer up the opportunity," head coach Bruce Arians says. TAMPA, Fla. — The Tampa Bay Buccaneers have made history by becoming the first NFL team to have two female coaches. 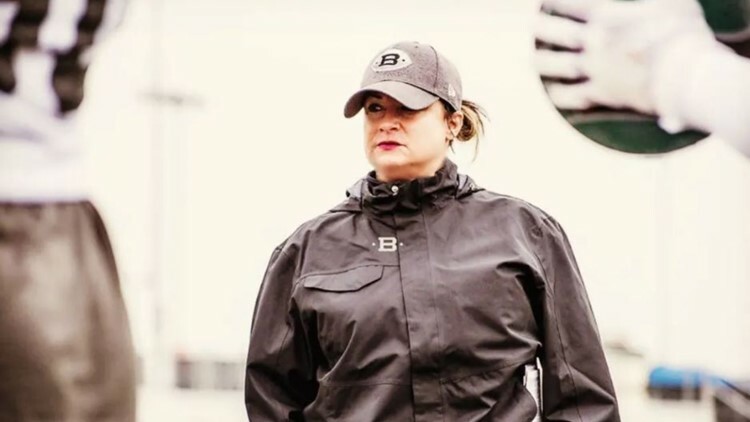 The team announced Wednesday it has added Maral Javadifar as assistant strength and conditioning coach and Lori Locust as assistant defensive line coach. “I know how hard it can be to get that first opportunity to coach at the highest level of professional football,” head coach Bruce Arians said on Buccaneers.com. “Sometimes, all you need is the right organization to offer up the opportunity." Javadifar has been a physical therapist, earning her doctorate at New York Medical College. Locust was defensive line coach for the Birmingham Iron of the Alliance of American Football this spring. She was a defensive coaching intern for the Baltimore Ravens during the team's training camp. Arians hired Jennifer Welter as an assistant coach when he was at the helm of the Arizona Cardinals in 2015. Other NFL teams that have hired female coaches include the Oakland Raiders, the Buffalo Bills and the San Francisco 49ers.